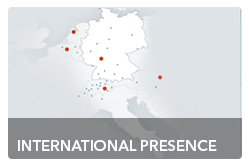 ELCO has been an established brand across Europe for over 80 years. For decades ELCO has been at the forefront of burner, condensing boiler and solar technology, installing over 1.7 million heating systems throughout Europe. As a worldwide pioneer in heating technology and the market leader in Switzerland, heating solutions from ELCO incorporate intelligent, energy-saving technology designed to meet the individual requirements of a project. And from an initial consultation to an on-going maintenance, all heating solutions are backed by a first class service and after sales support. ELCO is part of the Ariston Thermo Group, which generates over 1.57 billion euros worldwide with more than 7000 employees. 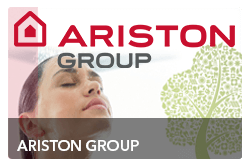 As one of the leading international companies in the heating and hot water sector, the Ariston Thermo Group works continuously on the efficiency and quality of its products. 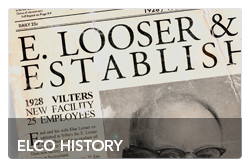 ELCO, pioneers in modern gas, condensing and solar technology, and have demonstrated their flair of innovation for over 80 years. From introducing the first solar vacuum tube collector in 1975, to the first oil burner with free flame technology in 2003, it continues to set the benchmark for the heating industry.